Just this morning reports of 12 dolphins found stranded and dead this month in Asturias, Spain. Of the dozen dolphins killed so far this year, three appeared in Llanes, two in Tapia de Casariego, two in Castrillón, a couple in Luarca and three in Verdicio, Villaviciosa and Colunga. 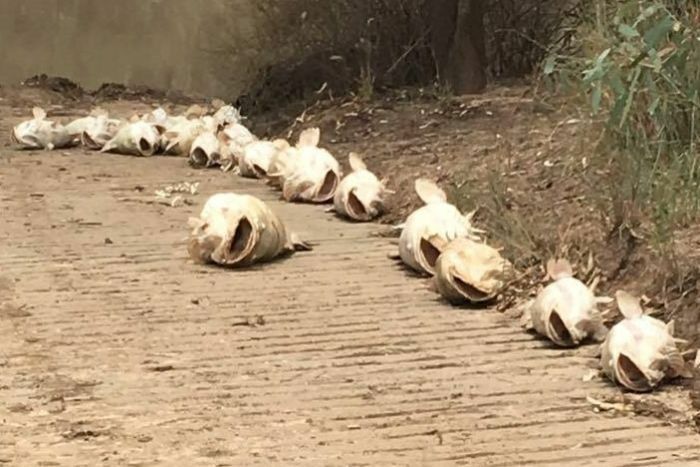 Also this morning hundreds of fish and crabs have died after extreme Queensland weather in Australia. Yesterday thousands of dead herring where found in the Bjorndal Fjord in Norway, lack of oxygen suspected. 21st January 2017 9 turtles found dead on a beach in Sao Francisco de Itabapoana, Brazil. 10’s of thousands of dead fish were discovered in early January on the beach in Kvarnåkershamn Sweden. "There were 10,000's of dead fish.” Says the county fish consultant Rolf Gydemo. Again oxygen-poor waters blamed. An investigation into the deaths of whales found in the current season in Nayarit Mexico. Already 3 dead whales have reached the beaches of Nayarit since the beginning of the current sighting period. The state's PROFEPA delegation has hired specialists to investigate the cause of the deaths. Also in Mexico 10 dead turtles are found on the coast of Costa Chica.